Trøjborg Lokalcenter as it is also called, is also an activity center for senior citizens. Some of whom live in their own homes, some live in senior-homes and a few come from nursing homes. Here they can meet and take part in various activities. One of these activities is being visited by children. In this case nursery home children. Other places it's kindergarten children or younger school children. It has been established years ago that elderly interacting with children overall feel better. They have something to look forward to, it nurtures their caring gene they are stimulated - and feel genuinely refreshingly tired afterwards. The children also benefit from it, because elderly often have a different approach to children and there being plenty of elderly present, usually means there is one for all the children. So all in all it's beneficial for all. It's a fantastic idea! We have something similar and the benefits to all is great. Third event, Mary attends the opening of Denmark/South Korea cultural year. In 2019, Denmark and South Korea celebrate 60 years of diplomatic relations, which are marked by a joint cultural year for the to countries. The purpose of the Cultural Year is to ensure the future knowledge of Denmark in South Korea, and the focus will be on youth and innovation in the cultural exchange. We had a programme here in the UK called "Old People's Home For 4 Year Olds" which was a similar idea. The end results of the experiment showed that the older residents of the care home felt much happier, fitter and stronger after the experiment and the children had also developed in terms of language and socialisation. It's a very beneficial thing for both generations! One of the residents was 103 and she said she didn't want to grow old, and you know when an 103 year old says they don't want to grow older the experiment has been a success! Let's hope she doesn't go broody on us. ADDED: A BT video from Vestergade in Aarhus today. 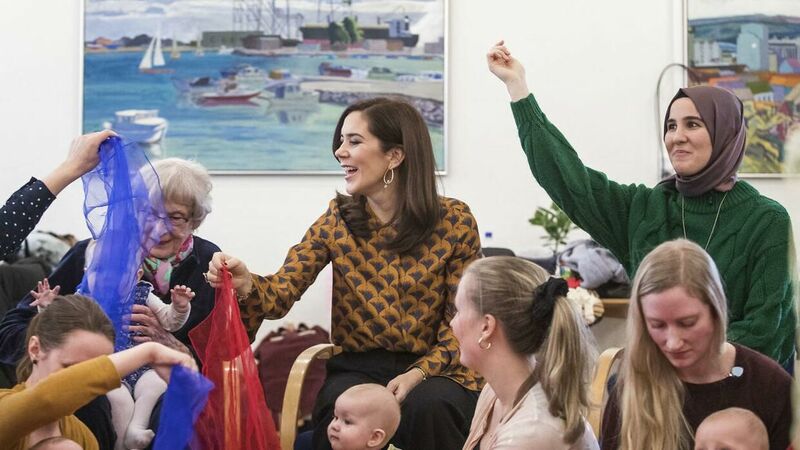 It was the lady in green to the right, who 3½ years ago came up with the idea of starting this initiative of having elderly meeting the small children. Yesterday evening there was a national fundraiser, for the benefit of girls worldwide who are exposed in various ways, something Mary has very much advocated. 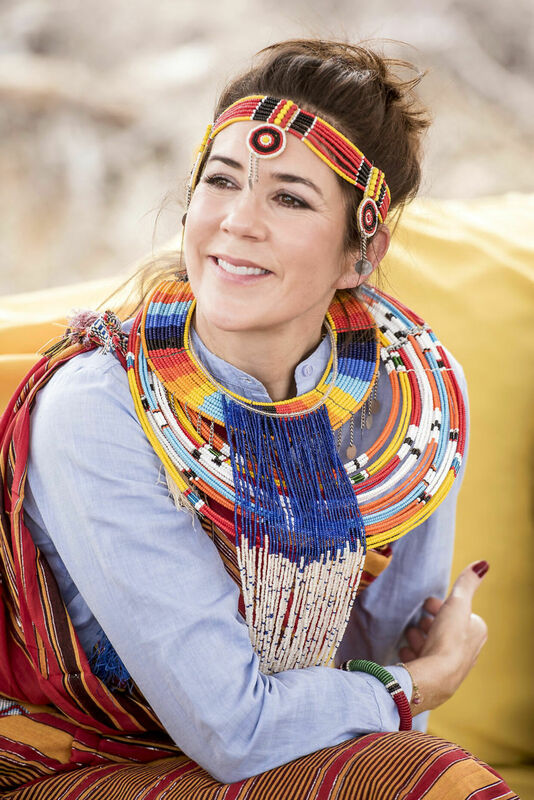 And Mary did indeed appear in segments during the show, where she, from her personal perspective told about the impression she had during her visit to Northern Kenya last year. In this clip she points out how unfair it is that a girl must stand by and see her brother go to school, but not her, because she's a girl. How she is unlikely to decide if she wants to marry, when and with whom. That many girls don't even have the right to decide when they want to have children. This was something that shocked Mary. Major progress has been made, but there is still a vast difference between the rights of boys and girls in Kenya. Mary finds it unfair that girls don't have the same opportunities as boys. Being handicapped is no picnic either! There is a lot of shame associated with having a child that is handicapped and such a child is often hidden away out of sight by the family. And that means the handicapped children's mental and physical development stagnates at a very early age. Teenage pregnancies is a big problem as well. - Prior to the fundraiser TV showed a heads up that illustrated it very well. Summary of article in Billed Bladet #06, 2019. Recently Mary visited volunteers in Aarhus, as well opening the Danish-Korean Cultural Year, also in Aarhus. She changed clothes between the two events. Having babies, or smaller children, school children visiting elderly is not controlled by the municipalities, but by volunteers, or individual school and institutions. The one who had started the initiative for this particular setup is Esra Alici Petersen, whom Mary met. Mary met the mothers and children involved, among the six month old Cirka, who reduced Mary to a pool of melted wax. Cirka is a twin, and that may have been one of the reason Mary fell for the child. Anyway, Mary sang, held and danced with Cirka. So far thirteen retirement homes have signed up for meeting the children. 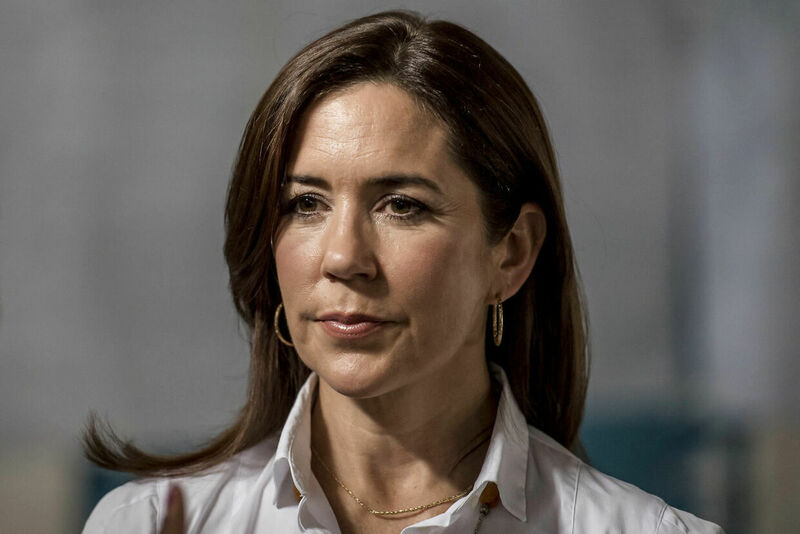 Crown Princess Mary has become Patron of the Zoo of Copenhagen, it was announced today. She takes over the patronage from late Prince Henrik, who had been the Zoo's Patron from 1972 until his death. How beautiful, a very fitting patronage I think as well. Absolutely. Copenhagen Zoo is a very high standard zoo, but also pretty unsentimental in regards to the animals. I predict trouble in the future if Mary brings along her children to see animals being dissected publicly there. Few will batter an eyelid here in DK, as most have grown up with seeing animals being dissected or seeing lions being fed a cow. CP Mary's first job as patron of the zoo will be to officially open the Panda compound. 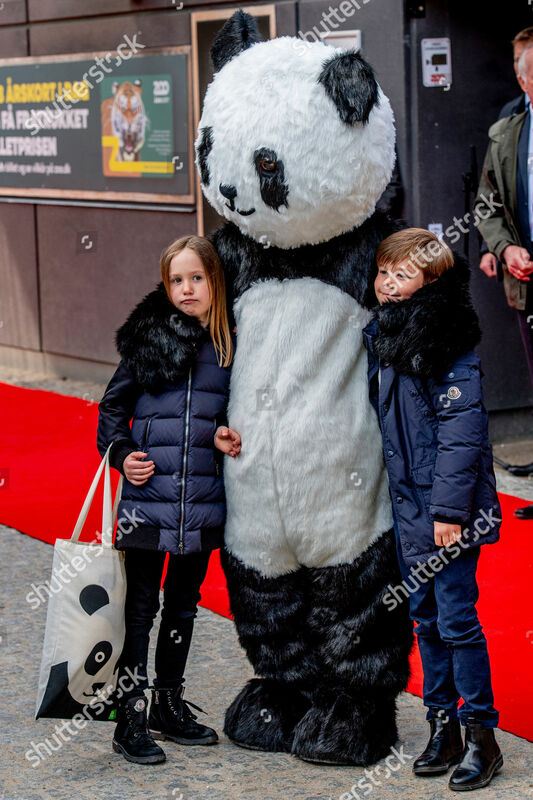 On 4th April 2 pandas will arrive in DK from China and on 10th April there will be an official welcome at the zoo with the Queen, the Crown Princess and the Prime Minister in attendance. This event will be for invited guests only. On 11th April CP Mary will also be present at the opening for the general public. It's quite an honor I understand. 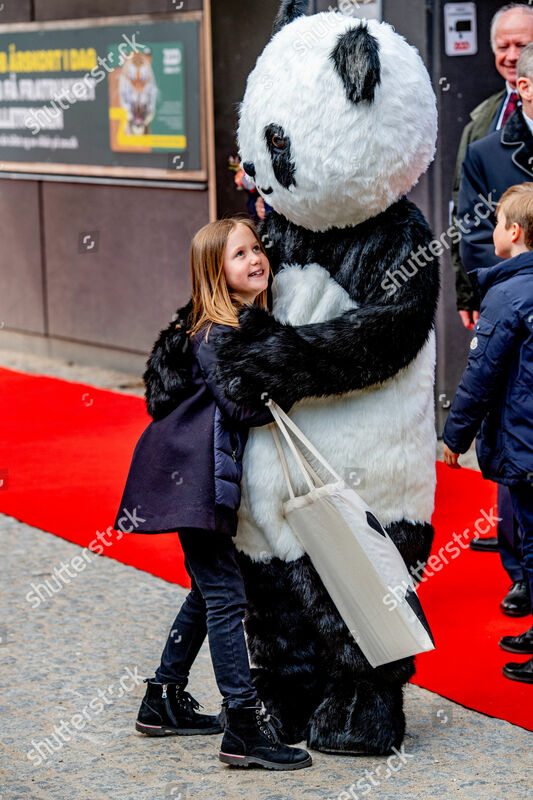 Copenhagen Zoo has previously had pandas on loan from China, pretty much in return for us bringing the original Little Mermaid to China for an exhibition there. The first pandas have gone to the Big Bamboo Forest in Sky. And now we are getting new pandas. Officially on loan for fifteen years but in reality for an indefinite period. The pandas will be spoiled with a brand new luxury enclosure. As with most things in life, this is based in money. The pandas are de facto Chinese ambassadors and feasted as such. Goodwill = Positive (official) press = Export. Lovely to see the twins with her. So lovely to see Josephine and Vincent with Mary, they are very sweet children. On the job, eating your favorite food up to 14 hours a day! At my age that's pretty close to the dream-job! How nice that Vincent and Josephine went along with Mary. What a lovely outing with some lovely photos. the seoghoer gallery has beautiful pictures. 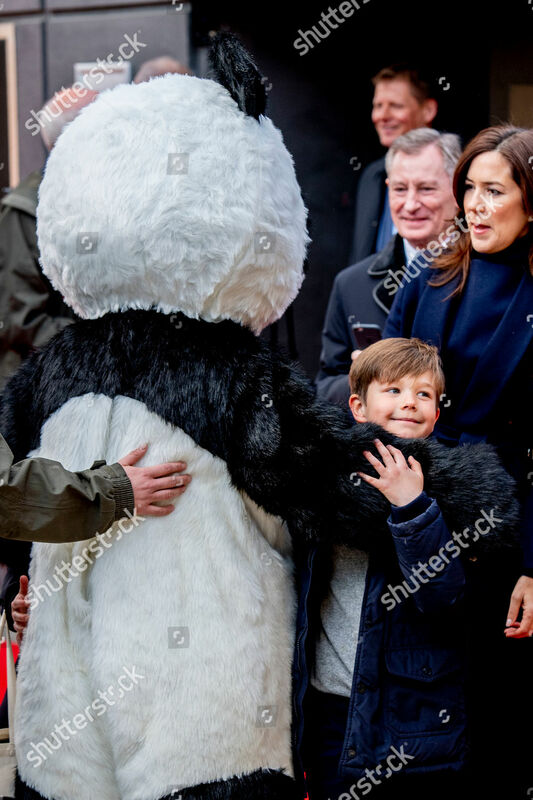 Prince Vincent told Danish TV that - "I've seen a panda. He's cute and fluffy"